Nature never fails to impress me with her majesty and grace. 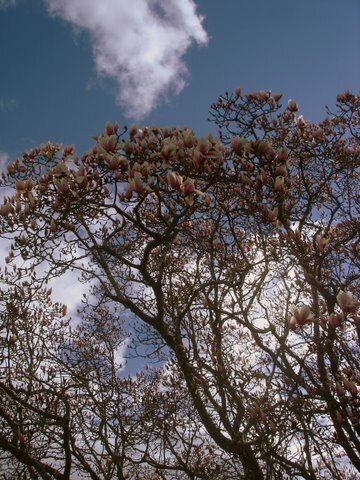 At this time of year Magnolia’s are in full bloom everywhere. 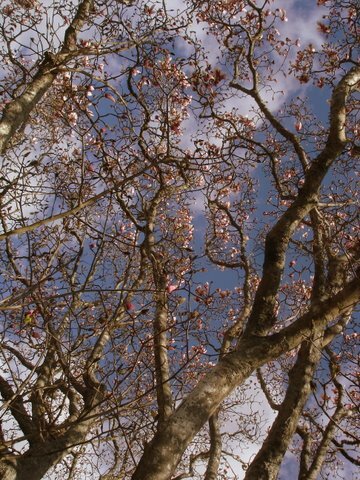 Trees big and small in various shades of pink, maroon and white providing a flurry of colour againts bleak rain filled skies during the last of the winter months. Days like today when the trees are cast againts blue skies and fluffy clouds are even better. Even more magnificant and giving the trees that awe me so much in Autumn a decent dose of competition. I couldn’t choose between them though. 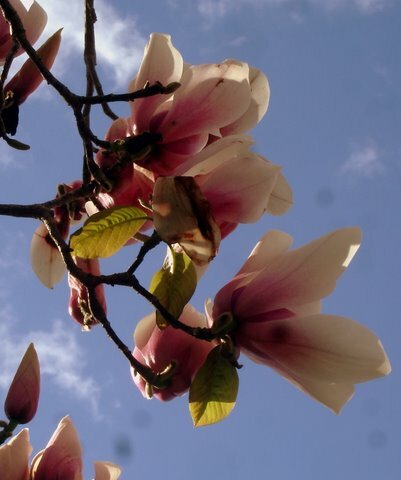 One fo the first really good photos I took with my current camera when it was still new and shiney was of a magnolia. I’d never really noticed how wonderful these trees are before I got a camera. All of a sudden I was seeing lots of things that I had never seen before. It’s amazing to me now that I could miss something so beautiful. 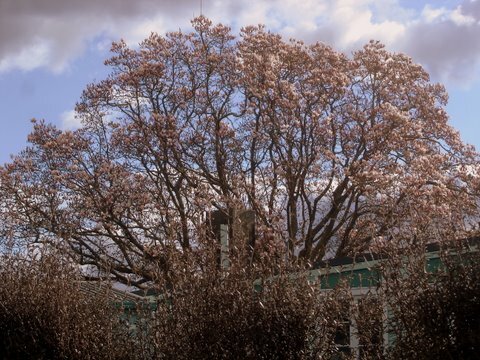 I will post the pink Magnolia that I have been admiring first, it stands behind the staff room at my childrens school and can be seen from many places around Greerton Village. The caretaker of the school came out when he saw me taking photos and was telling me that this particular tree is a protected tree. Something to do with it’s age and place in local history. He wasn’t sure of the story though so I will have to do some research. I hope you enjoy the photos. There’s white magnoilia flowers to come.